Bergen County, V. 1, Double Page Plate No. 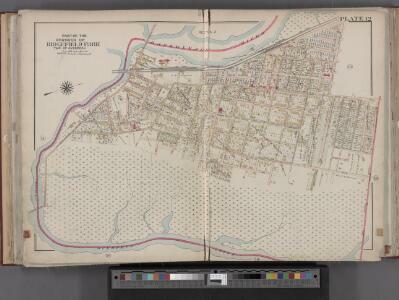 12 [Map bounded by Hackensack River, Hackensack Ave., Township of Teaneck, Overpeck Creek] / by George W. and Walter S. Bromley. Portion of Bergen County, N.J.
Bergen County, V. 1, Double Page Plate No. 9 [Map bounded by Overpeck Creek, Cedar Lane, Phelps Ave., Broad Ave., Borough Blvd., Oakdene Ave.] / by George W. and Walter S. Bromley. 1 : 20500 Colton, G.W. 1 : 29000 Mitchell, Samuel Augustus Jr.
City and County Of New - York. 1 : 15840 Colton, J. H.
Description: From V. 1, 1912.